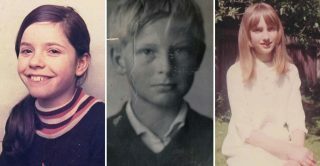 Home > News > Did the Baby Boomers fulfil their childhood dreams? Did the Baby Boomers fulfil their childhood dreams? In 1969, more than 10,000 11-year-olds, taking part in the National Child Development Study (NCDS), were asked to write an essay imagining what their lives would be like at 25. This year, these children, and the study turn 60 years old. The Centre for Longitudinal Studies (CLS), which manages the NCDS, contacted a number of the study members to share their essay with them and to see how their lives have unfolded. For most, this was the first time they had seen their essay since they wrote it some 50 years ago. While boys dreamed of becoming policemen, footballers and soldiers, many girls hoped to be nurses, hairdressers and air stewardesses. In the era of early space travel, they told fascinating stories of people living on the moon, England being under the sea, and a world without war or monarchies. Some imagined they would have travelled the world, seeing exotic places, people and animals, and others thought they would become inventors and entrepreneurs. Many had simpler dreams, and hoped to have a happy family, a nice home (maybe a bungalow) and a secure local job, just like their parents. CLS spoke to a number of them to find out whether they’d fulfilled, or even surpassed, their dreams, and asked them to reflect on their imaginative and vivid stories. Steve – At age 11, Steve imagined he would be a policeman when he reached 25. He had a tough childhood, as his family struggled financially and his father battled alcoholism. After leaving school at 16 with no qualifications, he eventually launched a successful career in the insurance industry, and then set up his own business. He has been married for 30 years and has one daughter. Claire – In her essay, Claire imagined she would be a nurse when she was 25. She had an idyllic childhood in the countryside, and after showing a flair for drawing and painting during school, she obtained a degree in art. She went on to work in social services, and then raised three children, before retraining at age 39 to become an art teacher. She spent more than 20 years in the profession before retiring last summer. Sally – When Sally was age 11 she imagined she would be a nurse at age 25. Although her father was a doctor, she didn’t think girls could pursue such a career. Sally experienced tragedy as a child when her mother committed suicide days after her 11th birthday. She found stability at school, and followed in her father’s footsteps to become a doctor. Two of her children are also doctors. Nigel – At age 11, Nigel thought he would be an army corporal at age 25. His childhood was full of adventure, as his family went sailing, surfing and horse riding. While at grammar school, Nigel passed his English and maths ‘O’-Levels a year early, but he decided not to pursue his studies after age 16. Nigel has worked in various professions, but now feels settled as a carpenter and builder. A car and motorbike fanatic, he has been married for 30 years. Paul – At age 11, Paul imagined he would be a lawyer when he reached 25. His unique ‘day-in-the-life’ account of his future showcased his writing ability. He grew up in a relatively deprived area, but had a group of friends who were engaged at school and enjoyed sports. He followed his older brother into journalism, working for the Telegraph and Daily Mail. He’s been married for more than 30 years and has three sons. Jackie – Jackie always wanted to be a hairdresser and wrote about this in her essay. As a teenager, she was on track to fulfilling her dreams until her family relocated to a different part of the country. She had to give up her hairdressing course and went to work in a bank instead, a job she didn’t enjoy. Over the years Jackie has had various jobs. Since having a major operation, she’s stopped work to spend more time with her family, including helping out with her grandson’s childcare. 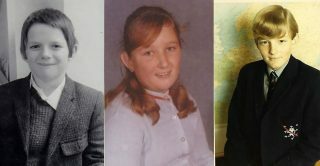 Professor Alissa Goodman, Director of CLS, said: “We’re delighted to congratulate NCDS study members on their 60th birthdays, and to help them rediscover the childhood essays that they wrote almost five decades ago. Their fascinating stories reflect the childhood dreams, and celebrate the lives, of many members of their generation. “They have made an enormous contribution to British society. Every few years since birth, the study members and their families have given up their time to complete surveys, to undertake health checks and take part in cognitive assessments. The information they’ve provided has helped to improve the lives of British people, by informing policy and practice in such areas as health, education, parenting and employment. A team of researchers, led by CLS, is now analysing all the essays written by the 11 year olds to see to what extent the language they used predicted how life would turn out for them. This includes looking at who moved up or down the social ladder and why, as well as how certain words may be predictive of good health, cognitive function, and level of physical activity in later life. NCDS is a birth cohort study which has been following the lives of over 17,000 people born in England, Scotland and Wales since they were born in a single week in 1958. Findings from the study have had a significant impact on policy-making and service provision across a wide range of areas – from education and employment to housing and health. The data collected from National Child Development Study (NCDS) members is anonymised before being made available to researchers. The study members featured above gave permission to be named, interviewed and photographed for this article. As part of the celebrations to mark the 60th anniversary of NCDS, these study members have given consent to share their essays with CLS, and have discussed how their lives have unfolded. Read their case studies on the CLS website.